Enter is a robust and flexible WordPress theme, designed by Transvelo to help you make the most out of using WooCommerce to power your online store. The design is well suited for Fashion Store, lookbook store, affiliate websites. It is built and comes bundled with most of the advanced features available in most popular eCommerce fashion websites. 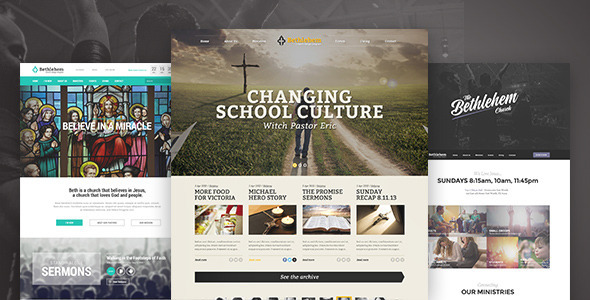 The theme is built on top of bootstrap framework. The code is lean and extensible. This will allow developers to easily add functionality to your side via child theme and/or custom plugin(s). You can view the Enter Documentation here : http://transvelo.github.io/docs/enter/. From the makers of Electro Electronics Store WooCommerce theme and MediaCenter Electronics Store WooCommerce theme, a fast-food and restaurant online food ordering theme. 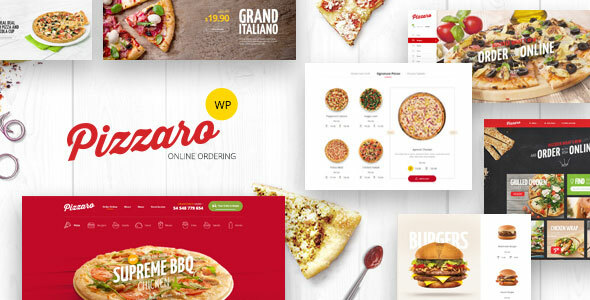 Presenting Pizzaro, a Fast Food & Restaurant WooCommerce Theme. Based on half year of research into the field of food delivering, online orders and local fast food restaurants including meeting personaly local owners that provides food delivering our design partner Michal designed this convenient online food ordering theme to deliver most unique and suitable pizza ecommerce website. Use custom, user friendly food picking shop pages, blogs or write about recipes you would like to share with your customers. With Pizzaro, you can choose from six modern, clean and professional home content pages with sections that can be easily customisable and be transfered from one to another to perfectly frame your content and suit your and potential customer needs. Also a word about the Dummy Data. Once you import the dummy data provided with the download package, you will get a website similar to this : https://demo.chethemes.com/pizzaro/. You can view the Pizzaro Documentation here : http://transvelo.github.io/docs/pizzaro/. 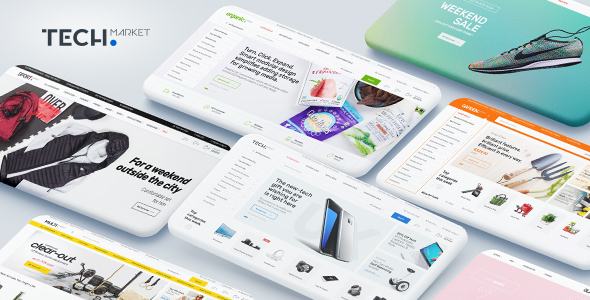 From the makers of Electro Electronics Store WooCommerce theme and MediaCenter Electronics Store WooCommerce theme, a lookbook focussed theme to help your customers view your products as a collection. Presenting Bewear, a Lookbook style WooCommerce theme. 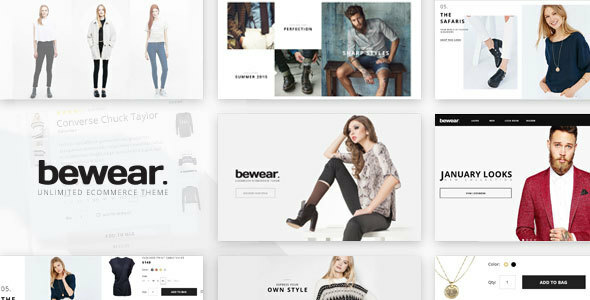 Bewear Lookbook WooCommerce theme is a clean and modern Fashion theme which allows designers, fashion-bloggers to showcase various products under various collections. This allows your customers to see the overall style of the outfits or get an idea about the latest fashion. Bewear is built on top of Underscores framework built by the same company that built WordPress and the same framework used in the most popular WordPress themes. The code is lean and extensible with various actions and filters allowing developers to add functionality via child themes and/or custom plugins. The theme is integrated with various plugins and extensions like King Composer, Visual Composer, Slider Revolution, YITH WooCommerce Wishlist and YITH WooCompare. Slider Revolution – to display your content as beautiful sliders. Also a word about the Dummy Data. Once you import the dummy data provided with the download package, you will get a website similar to this : https://demo.chethemes.com/bewear/. You can view the Bewear Documentation here : http://transvelo.github.io/docs/bewear/. 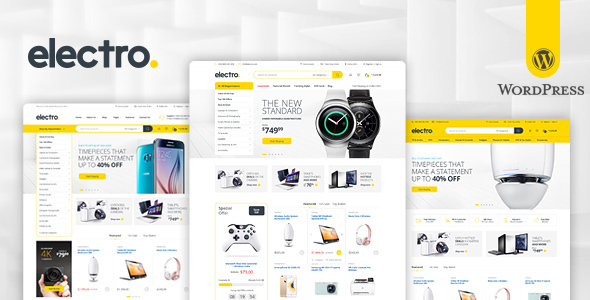 Electro Electronics Store WooCommerce Theme is a robust and flexible WordPress theme, designed by Transvelo to help you make the most out of using WooCommerce to power your online store. The design is well suited for Electronics Store, vendor based marketplaces, affiliate websites. It is built and comes bundled with most of the advanced features available in most popular eCommerce websites like amazon, flipkart, snapdeal, walmart, alibaba, aliexpress, etc. So if you are an amazon affiliate or want a multi-vendor marketplace for your niche market or a store owner, this theme is for you. You can view the Electro Documentation here : http://transvelo.github.io/docs/electro/. MyBag is a single product WooCommerce theme is focused to present your product, your brand and how much exceptional you / your brand are – presenting in original way your history, the production process, yourself or just make the client closer to you by blogging. This theme is built specially for your products to give them an amazing website and it is well-suited for Bags, T-Shirts or any other single product line. We at Transvelo have developed MyBag WP in collaboration with Michal to bring out a beautiful and well-coded theme and we sincerely hope you’ll like it. Generally the comments section is reserved for pre-sales questions and questions that does not require much technical help. For better response and management of support requests, we have our portal at http://transvelo.freshdesk.com. Choose a dropdown effect and trigger for dropdown menu. Available in Full-width, right sidebar and left sidebar. Available in Full-width, right sidebar and left sidebar layouts. Default placeholder for blog posts without post thumbnails. Built on top of powerful Redux framework. 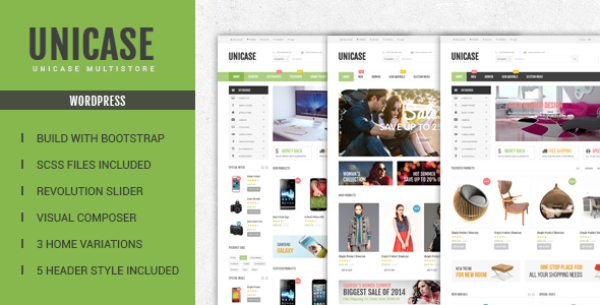 This is a youtube playlist of step-by-step guide to install and setup Unicase WooCommerce Theme. In this video we will show you how to switch from modern style home page to classic style home page. In this video we’ll explain how to translate Unicase WooCommerce theme. Share block to share post items. Can paste custom CSS and custom JS easily. Lot of our customers have simply uploaded the unzipped mediacenter folder into themes/mediacenter/ and checking on overwrite via FTP. This is so wrong because the latest version have remove lot of files which needs to be removed. Uploading to the same directory will not remove the files that need to be removed and it will cause lot of issues. You need to rename the folder and not upload files to the same folder by overwrite. To reiterate, you should never be uploading to an existing mediacenter folder via FTP. You should rename the folder and upload the new theme. Always use child themes. It saves you lot of time. 6. Update your child theme with custom changes from step 2. Some CSS classes especially for product items have been renamed. So if you have had written custom CSS to product items, you may want to recheck it and update the custom CSS. Open your .po file. Use poEdit and click on update from pot file. You will find the latest pot file in mediacenter/languages/mediacenter.pot. Once you update strings from pot file, you can save them to wordpress’ language folder using mediacenter-en_EN.po style or to child theme’s languages folder. The above are general steps to update the theme. If you are facing difficulties please do let us know via our support and we’ll help you out. Built with Susy, Bourbon & Sass. Responsive Layout, flexible and nestable grid system using Susy. Schema Markup – Valid schema markup for enhanced SEO performance. Localized – Bethlehem is fully localized and ready for your translations. Accessibility Ready – Bethlehem adheres to the strict wordpress.org accessibility guidelines making your store accessible to the widest audience possible. Powerful Options Panel – Bethlehem has a powerful options panel that allows you to customize your website to match your brand. Deep Integrations – Bethlehem is integrated with WooCommerce, Events Calendar, Give Donations, Testimonials by WooThemes, Our Team by WooThemes, Visual Composer, Slider Revolution and many other plugins. PSD files are available on request. 3 Home Pages – Bethlehem is bundled with 3 different home pages for you to choose from. 8 Header Styles – Choose from 8 available header styles for your website. 3 Footer Styles – Choose from 3 available footer styles for your website. Megamenu – Easily create and use megamenu. 6 Predefined color scheme and unlimited color options. Sermons Manager – Add audios, videos via an easy to use sermons manager. Ministries Manager – Organize your Ministries from within the WordPress admin panel. Our Extensions plugin lets you do just that. Team Manager – Manager your team using Our Team by WooThemes. Donations – Raise Campaigns and accept donations using Give plugin. Stories – You can now add stories that would enlighten your visitors. Events – Create and Organize your events using Events Calendar plugin which is integrated with the theme. Store – Bethlehem is deeply integrated with WooCommerce which will allow you to setup your own store and sell products online. Visual Composer – build your layouts using Visual Composer, the most popular page builder. Slider Revolution – create sliders with amazing effects using the Slider Revolution which is bundled with this theme. Earlier we had overwritten almost all the WooCommerce template files. This means that whenever there is an WooCommerce template update, we will have to update the theme again and make sure the latest updates do not break. In this version, we have removed all the template overrides and all template requirements are achieved used WooCommerce action hooks and filters. What does this mean to the end-user : Going forward WooCommerce updates are going to be smoother and there will not be any outdated template files. This also means that lot of woocommerce plugins will be supported quite out of the box. We have moved all our LESS code to SASS. This means the CSS will be compiled faster and will join the increasing SASS developers community. We have also implemented direction controller so that RTL version of the stylesheet is not just the override version instead a standalone version. What does this mean to the end-user : A step for the future and easy code maintenance for our RTL users. We had earlier overwritten 3 elements of Visual Composer which are vc_row, vc_accordion and vc_toggle. Now we have removed the overrides and have completely made use of Visual Composer’s inbuilt features. Now the theme loads the .po files in this order wp-content, child themes and in the themes folder. What does this mean to the end user: Now the user can save all the translations to wp-content/languages folder instead of in mediacenter/languages. In this way the translations are not lost on update. Before updating to 2.0.0 make sure you backup your translations. The above are some of the major changes. Under the hood we have made sure the code is more flexible and easy to update. If you face any difficulties during update, please do not hesitate to contact our support and we are happy to help.